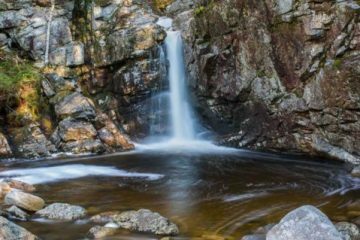 Three hikers who New Hampshire Fish and Game officials say were not prepared for winter conditions in the White Mountains had to be rescued near the Flume Gorge on Saturday night. 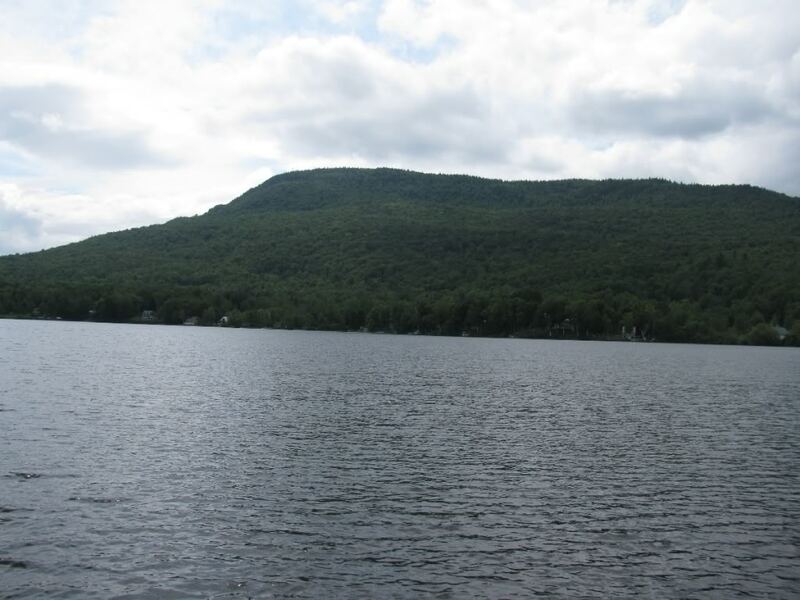 According to Fish and Game officials, three hikers from Manchester, New Hampshire set out from the Flume Visitor’s Center in Lincoln at around 1:30 p.m. 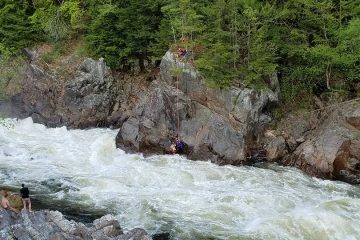 The hikers – Adam Bull, 34, Dawna Jones, 36, and an 11-year-old – reportedly had no plans for a hike, but the three ended up on the Flume Slide Trail. 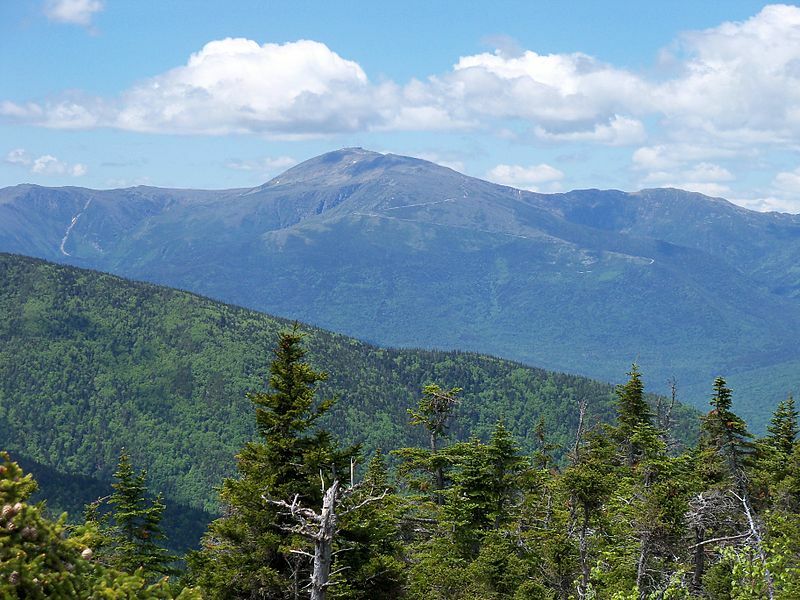 At around 3 p.m., the hikers lost the trail. 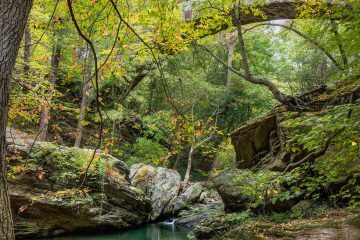 They then tried finding their way down until calling 911 at 6:20 p.m.
Conservation officers spoke with the hikers by phone and tried directing them back to the trail. After their attempts were unsuccessful, officers launched a rescue. 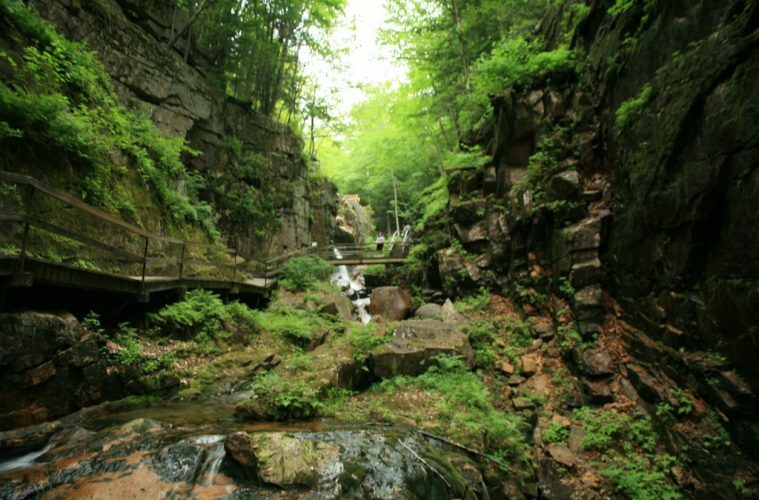 Rescuers found the hikers near the Flume Gorge Trail System close to a rain shelter shortly before 10 p.m. The hikers were reportedly cold but uninjured. Rescuers provided the hikers with warm, dry clothing and guided them back to the trailhead at roughly 11 p.m. 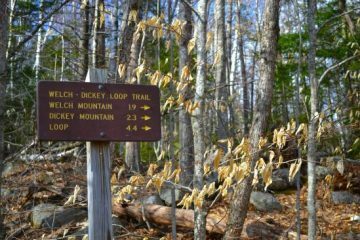 Fish and Game officials said the hikers weren’t prepared for winter conditions, which are still present in the White Mountains. They did not have appropriate cold weather gear. They also didn’t have lights or a GPS, map or compass.